Do you also notice that there are days you wipe off more dirt from your skin with your towel than other days? We mostly notice the biggest difference when biking through town to work versus locking yourself up in a vehicle and drive to work. Even though cycling is healthier, your skin gets way dirtier passing by all those cars in the city. No need to say that you need to clean your skin regularly. Even when not living in the city! 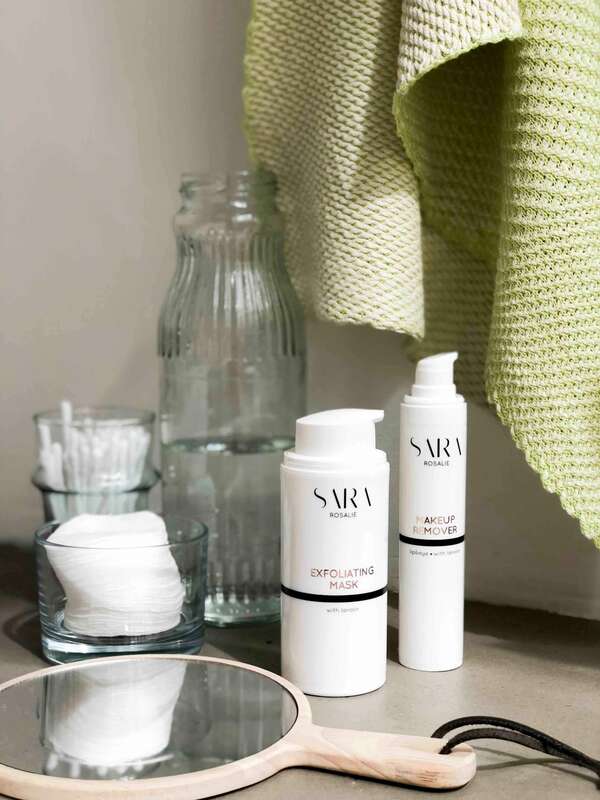 We invited Sara, from the conscious skincare brand Sara Rosalie, to share her skincare ritual with us. If someone knows how to nurture your skin and clean your face, it must be her! She explained to us why our 100% cotton towel is good for your daily facial cleanse. It is important to remove makeup and other dirt that your skin picks up, every single night, so it stays healthy and glowing. 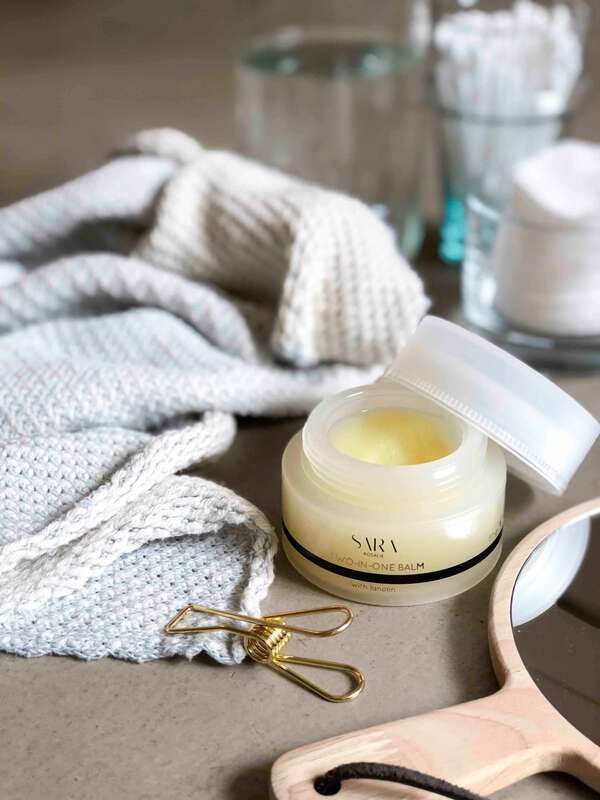 This is how you can do that: massage a small amount of the Sara Rosalie Two-in-One Balm warm between your hands, spread it over your face and take it off with a hot towel. Preferably a soft one, so you will not damage your skin. This will give your skin care-moment that nice beautician feeling in your own bathroom. Finish it off with a Sara Rosalie Daily Moisturizer and Lip Balm for a super hydrated and nurtured skin. 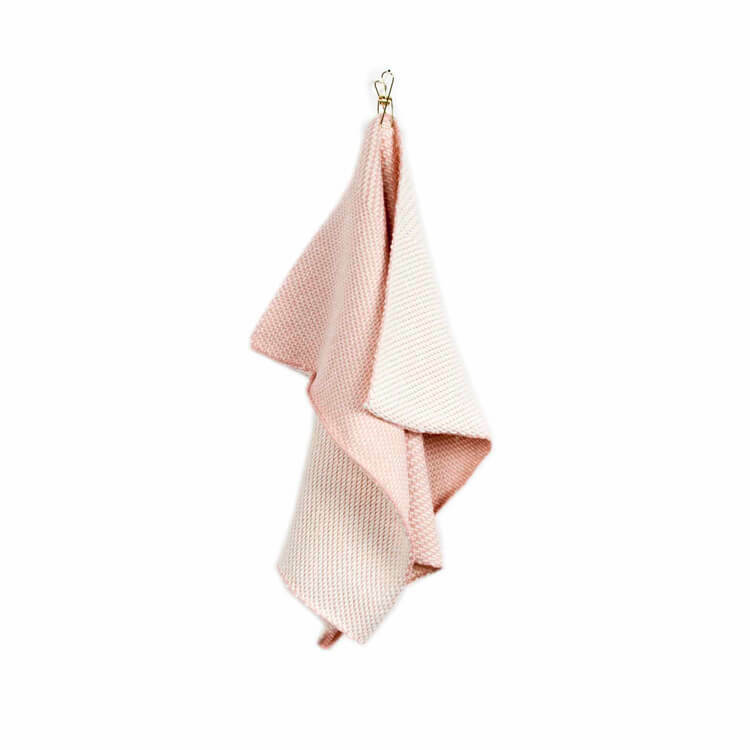 This towel is loosely knitted with a thick, pure, cotton yarn to give the fiber space to do what it does best. The feel is super soft, and that is the exact reason why it functions: the fiber is not locked up in a tight weave. Sara used our towel in her images. 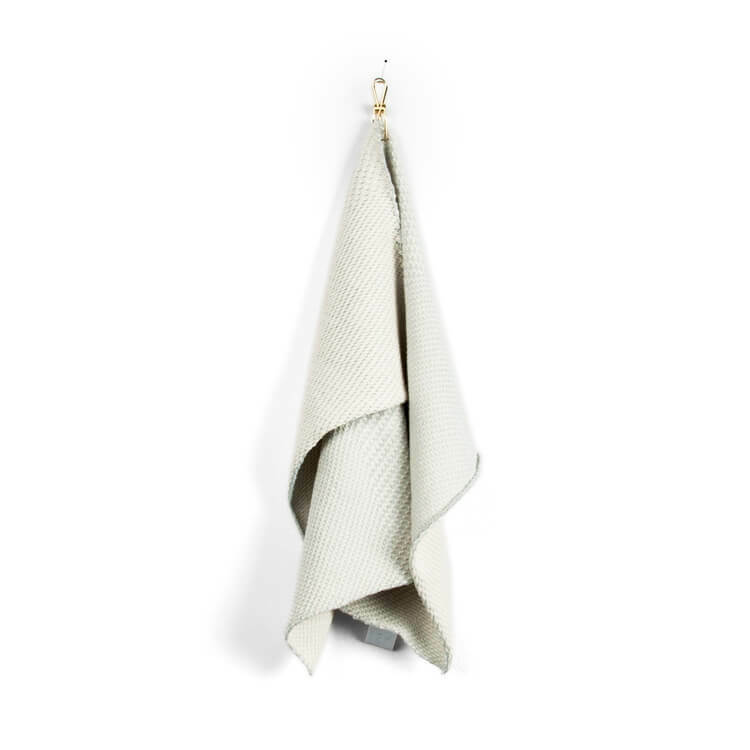 The green ‘Aurantifolia‘ and the grey ‘Labiatae‘ towels are knitted of 100% cotton. The towel is not only soft, as Sara noticed, but is also easy in care. You wash it on 60 degrees, and is therefore easy in care!